Florida Association of Legal Document Preparers,LLC (FALDP) is not a law firm, and FALDP is not acting as your attorney. FALDP’s legal document service is not a substitute for the advice of an attorney. FALDP cannot provide legal advice and can only provide self-help services at a consumer's specific direction. FALDP is not permitted to engage in the practice of law. 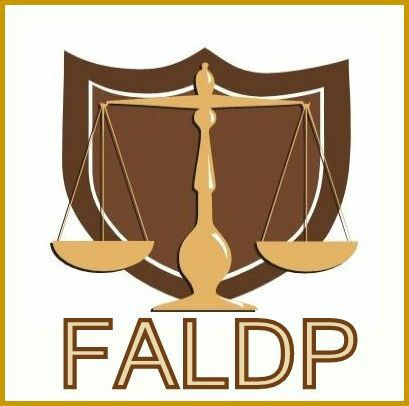 FALDP is prohibited from providing any kind of advice, explanation, opinion, or recommendation to a consumer about possible legal rights, remedies, defenses, options, selection of forms or strategies. This site is not intended to create an attorney-client relationship, and by using FALDP, no attorney-client relationship will be created with FALDP. Instead, consumers are representing themselves in any legal matter undertaken through FALDP legal document service. None of our members are practicing Florida attorneys. We refer consumer inquiries to FALDP Members for document preparation. FALDP members document services include a review of your answers for completeness, spelling and grammar, as well as internal consistency of names, addresses and the like. At no time do our members review your documents for legal sufficiency, draw legal conclusions, provide legal advice or apply the law to the facts of your particular situation. In some cases members will send you a copy of the questionnaire detailing the information you have given us prior to our preparing your documents. At that time you will have an opportunity to check the information you have given us for accuracy. It is the consumer's ultimate responsibility to proofread their documents thoroughly. Once you have reviewed and approved your information for accuracy your document preparer will go to the next step and prepare your documents. Members always correct typing errors at no additional charge. If you approve the information and then make changes, there may be additional charges. Whether or not we charge you for correcting your incorrect information is at the preparer's sole discretion. Document preparation fees include the documents required for your Florida legal proceeding. We base the form requirements on the information that you provide to us; and the forms' published instructions. We use Supreme Court approved forms whenever they are available. Some circuits may require different or additional forms; or may have their own local forms. We make every effort to provide you with all of the forms that you need to begin your proceedings. When there is no Florida Supreme Court approved form available, members are required to intake consumers' information in writing. Your document preparer may use a workbook, questionnaire, or software to intake your information. If you find that you need additional or different forms than the forms we prepared, please contact your document preparer. In most cases, he provide the required form(s) at no additional charge. When purchasing document preparation services from a member document preparer, you may be assisted face to face or virtually (over the phone and over the internet). If receiving virtual services, your completed documents will be emailed to you. Or, If you request, your document preparer will usually send your documents via U.S. mail instead. Although our members make every effort to complete documents as accurately as possible, there may be mistakes or clerical errors, despite best efforts. FALDP will not be held responsible for errors or clerical mistakes. Proofreading is the consumer's ultimate responsibility. We most commonly refer consumer inquiries to a member document preparer for document preparation services. Our members are obliged to abide by our Pledge, but we do not supervise them directly. We make no warranties or guarantees as to the work of our member document preparers beyond what they promised in signing our Pledge and our criteria for joining our association. FALDP is not responsible for the actions, omissions, errors, mistakes, business practices, etc. of any of the third parties listed on this site, including, but not limited to, FALDP members listed in the "Member Directory". FALDP members write and submit their own information for their Member Directory listings. Copy for members "mini-page" sites is submitted by the member, or copied from their external website. FALDP makes a reasonable effort to monitor the truthfulness of claims in member's advertising on this website; but will not be held responsible for any statements or representations made by any member. If we notice that a member's website includes information or content that may be confusing or misleading to consumers, we bring it to the member's attention. However, FALDP will not be held responsible for any claims, statements, or content on a member's external site. FALDP reserves the right to edit the content of member submissions for their Members Directory or Mini-Page on this site. At FALDP's sole discretion, FALDP may omit or edit language that could be interpreted as misleading, inflammatory, or illegal. Likewise, FALDP makes reasonable attempts to monitor FALDP members' websites for language that could be misleading, inflammatory, or illegal. However, FALDP will not be held responsible for any language on a member's website whether it be misleading, damaging or misleading. FALDP and its services are not a substitute for the advice of an attorney. If you need legal advice for your specific problem, or if your specific problem is complex, you should consult a licensed attorney in your area. FALDP is not responsible for any loss, injury, claim, liability, or damage related to your use of this site or any site linked to this site, whether from errors or omissions in the content of our site or any other linked sites, from the site being down or from any other use of the site. In short, your use of the site is at your own risk. FALDP provides this website as a service. The materials contained on this website are provided for general information purposes only and do not constitute legal or other professional advice on any subject matter. FALDP does not accept any responsibility for any loss which may arise from reliance on information contained on this site. We host the "Ask the Members" forum. We are not responsible for wrong or erroneous information posted by third parties as questions or comments. We accept anonymous comments and questions and do not attempt to verify IP addresses in any way. We delete and/or ban questions and comments that are inappropriate or obvious spam. Members may post their contact information, including web address, email address, and telephone number. We delete contact information posted by consumers. Furthermore, we reserve the right to edit questions and comments for grammar and clarity. Permission is given for the downloading and temporary storage of one or more of these pages for the purpose of viewing on a personal computer. The contents of this site are protected by copyright under international conventions and, apart from the permission stated, the reproduction, permanent storage, or retransmission of the contents of this site is prohibited without the prior written consent of FALDP. Some links within this website may lead to other websites, including those operated and maintained by third parties. FALDP includes these links solely as a convenience to you, and the presence of such a link does not imply a responsibility for the linked site or an endorsement of the linked site, its operator, or its contents. Reproduction, distribution, republication, and/or retransmission of material contained within this website are prohibited unless the prior written permission of FALDP has been obtained, except for sharing specified pages on social media. Sharing any content of any FALDP online course is strictly prohibited. Improper use of the FALDP logo/ service mark is strictly prohibited. Members in good standing may display our FALDP logo/ service mark so long as the member remains in good standing. Good standing means that the member is current on membership fees and is in compliance with FALDP policies. Third parties (non-members) may link to our site, but may not display our FALDP logo/ service mark without permission.